Estate planning is never something that anybody looks forward to. However, it is important that we all take in to consideration what will occur with our assets upon our passing. Otherwise, there is a good chance that our loved ones will be left with the confusing task of dealing with the probate system, trying to determine who gets what, and potentially being forced to rely upon statutory rules as to the dispersal of your estate. Unless you are comfortable with simply allowing the State to direct how your assets are split up upon your death, it is a good idea to speak with an attorney as to your options when it comes to your estate. Below is a brief overview of the three primary means used to transfer assets upon death. Nothing in Place – normally referred to as dying intestate, it is easier to describe as simply having nothing put in to place regarding the dispersal of assets upon your death. In this instance, the rules and statutes of the State in which you lived will control as to the dispersal of assets. Your family and loved ones will be required to file a probate action in the Court and fully rely upon the rules and statutes of the state governing the probate process of handling your assets. In essence, this means that the State will determine who is appointed as a personal representative, who the beneficiaries are, how much each beneficiary will receive, and multiple other items in regards to the administration of your estate. 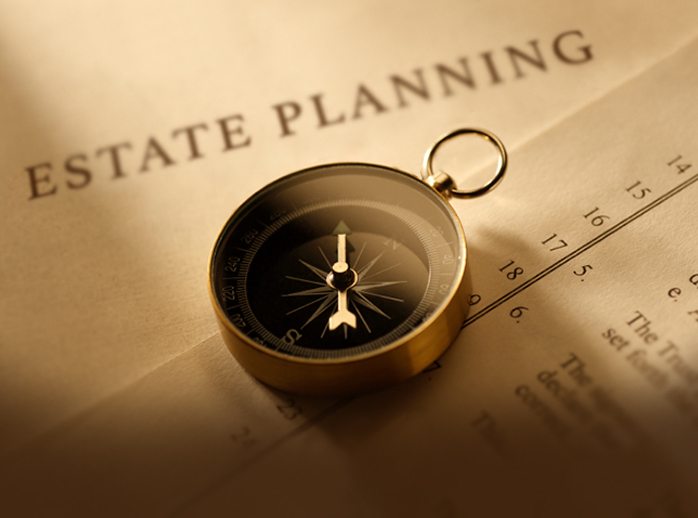 Generally speaking, this is the least favorable means of estate planning as it provides no direction as to the dispersal of assets, the cost of administrating can be high, and the probate process can be long, complicated, and burdensome. This is generally very difficult for a family or your loved ones to undergo as they are usually still in the process of grieving. Will – in opposition to the above, this is generally known as dying testate. As you may imagine, dying testate simply means having died with a valid will in place. While dying with a will in place does still require the estate to go through the State Court and file a probate action, the process is greatly alleviated in regards to the direction of assets, the naming of beneficiaries, the determination as to who is to be a personal representative, and a multitude of other factors. Putting a will in place is a simple process that you can undergo prior to your death that will greatly reduce the burden of your family during the strenuous time period following your death. This is a relatively favorable means of estate planning as it un-complicates the complicated process of probate thereby alleviating a large burden from your family members and loved ones upon your death. Trust – lastly, in stark contrast to the two above options, a trust sets up a fiduciary arrangement with a trustee who will hold your assets for the benefit of whomever you direct. This sounds complicated, and it somewhat is, but the existence of a valid trust can mean the complete avoidance of probate altogether. While there are a multitude of various trusts from which you can choose, the general concept of most trusts created for estate planning purposes is to designate a trust entity that will be transferred your assets before your death, that you will (usually) maintain control of during your life, and which will be handled by a designated trustee upon your death to insure that the assets are dispersed in accordance with your wishes. Because the assets have been transferred to a separate entity before your death, they no longer technically are held by you; as such, the probate process is not needed as the assets are no longer in your possession. In addition to the easier of transfer of assets to your beneficiaries, many trusts can also be designed to provide several tax benefits that will help to ensure that your loved ones receive the most of your estate possible. Trusts are very complicated and require much more planning, discussion, and preparation than the other options. However, a valid and well crafted trust can provide a variety of benefits to your family and loved ones upon your death. If you have a larger estate or if you wish to provide your loved ones with a less complicated means of administering your estate, it would be very beneficial for you to speak with an attorney about preparing a trust. Nowakowski Legal PLLC is fully capable of helping you to create an estate. In addition, we are also available in the event that legal assistance is needed to help administer the estate. If you or anyone you know requires any help in regards to their estate planning or administration thereof, please do now hesitate to contact our law office.